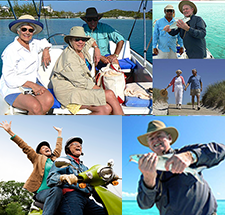 Today’s retirement investing opportunities offer you more freedom and flexibility than you ever thought possible. 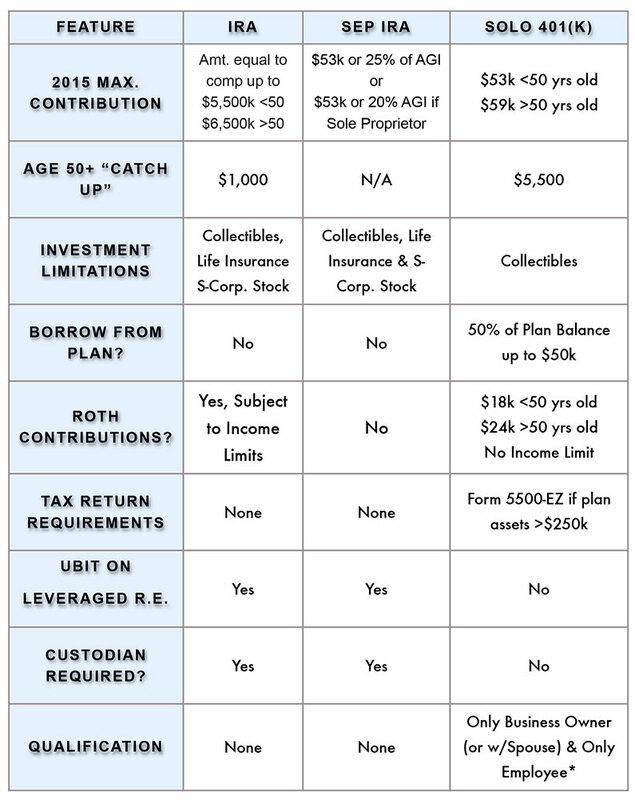 Use this table to compare three of the most popular self-directed retirement accounts: the traditional IRA, the SEP IRA, and the individual 401k. There’s a plan for nearly every investment need. * The Advantage Solo(k) is available to your business if you (or you and your spouse) are its only owner/s and employee/s. With so many choices in self-directed retirement accounts, it’s a good idea to seek professional advice. You can count on the experts at IRA Advantage. Call us today to find out which option is right for you, 800-475-1031.